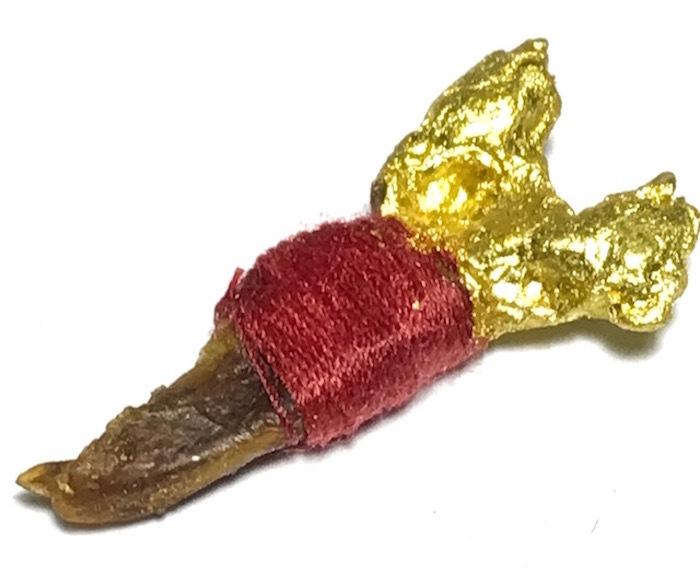 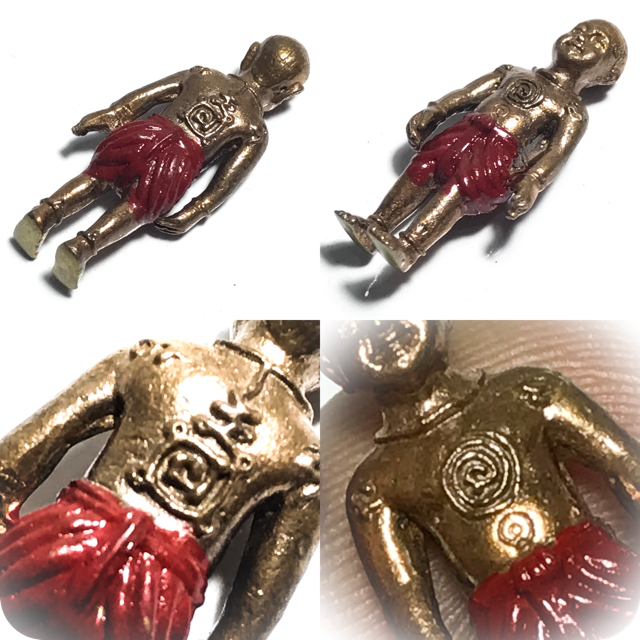 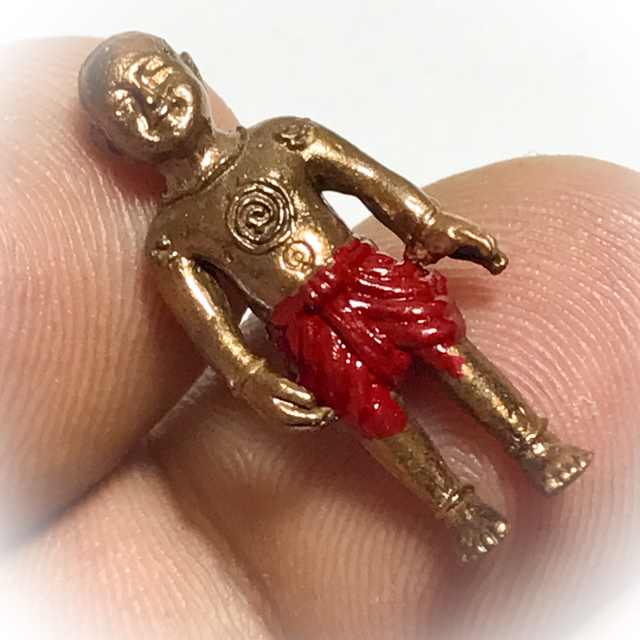 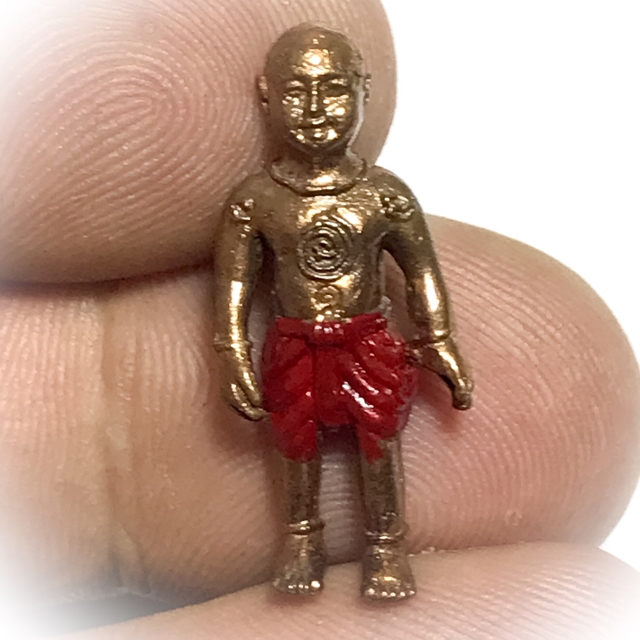 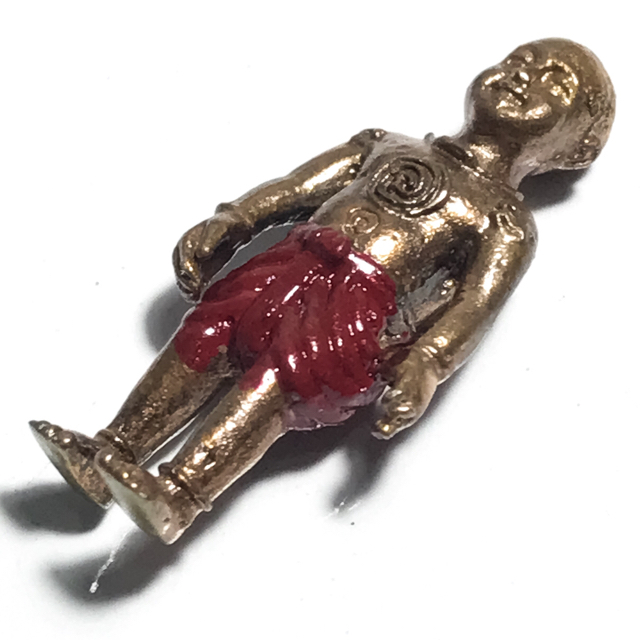 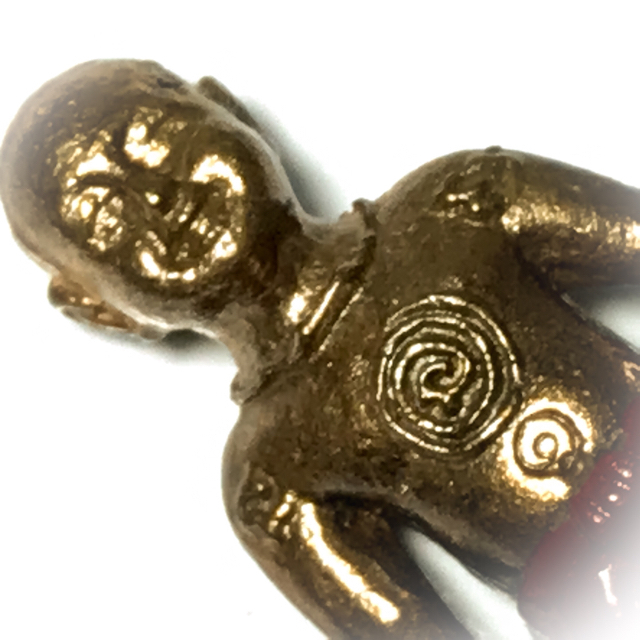 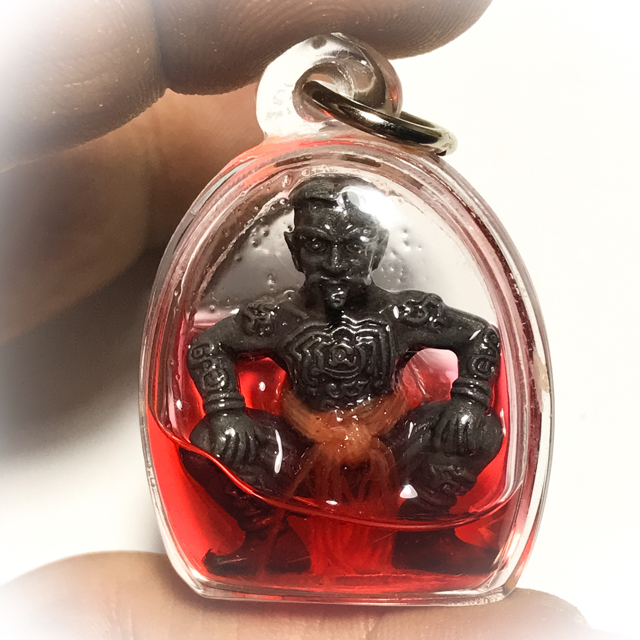 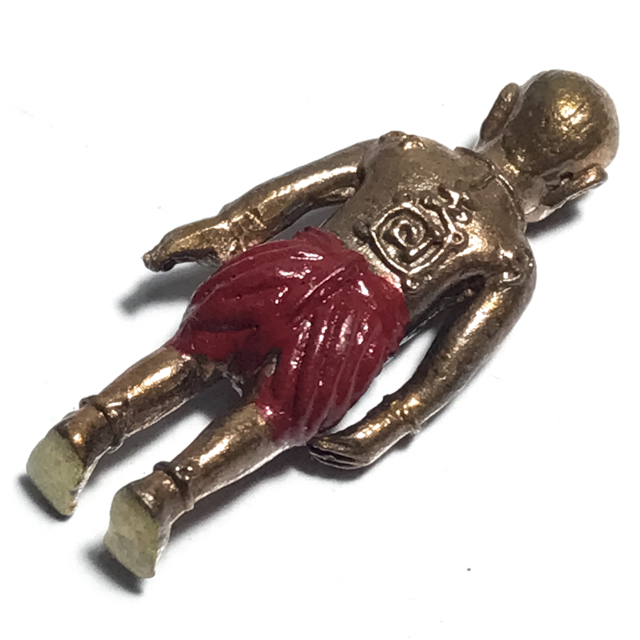 Presenting a tiny but immensely powerful brazen metal amulet, the Hun Payont Phii Yaan Miniature Loi Ongk Statuette Golem Ghost Soldier, in Nuea Samrit Alchemical sacred Bronze Alloy, with painted red Jong Graben pants, and Khom Yantra spells embossed on the surface. 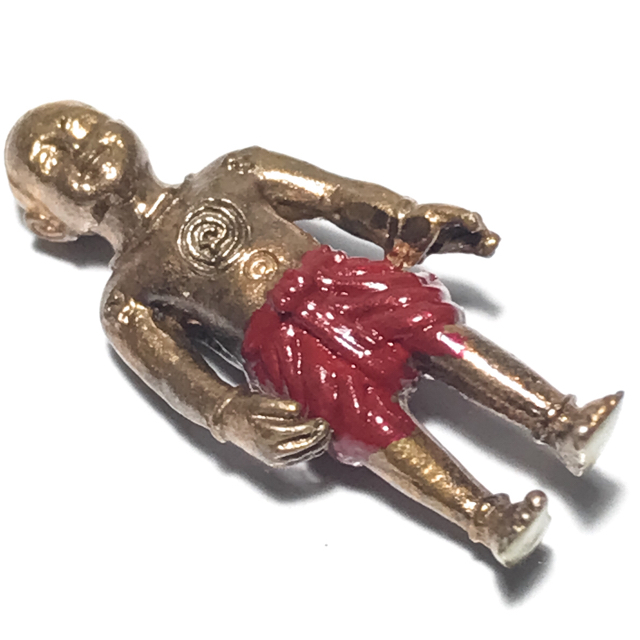 This tiny but high-powered amulet is imbued with the ghost of a psychically powerful Hoeng Prai. 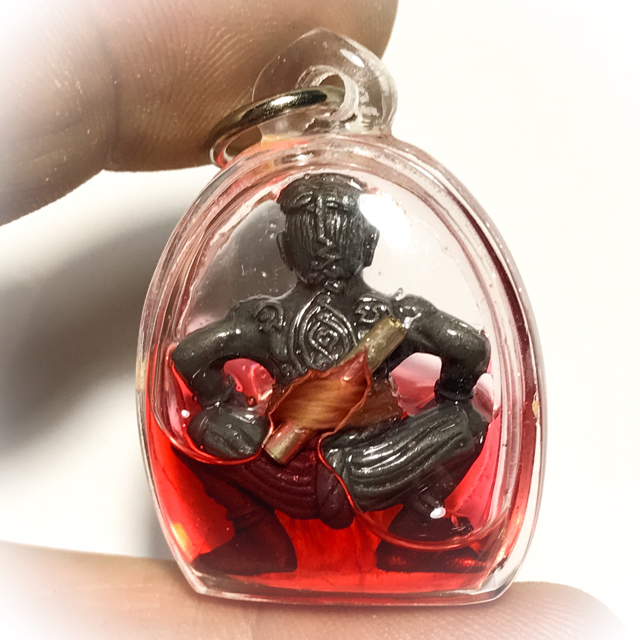 This spirit-world assistant is designed to protect and watch your back, attract wealth, and be called upon to fulfil missions and make wishes come true, like your own personal spiritual ‘ Personal Valet’. 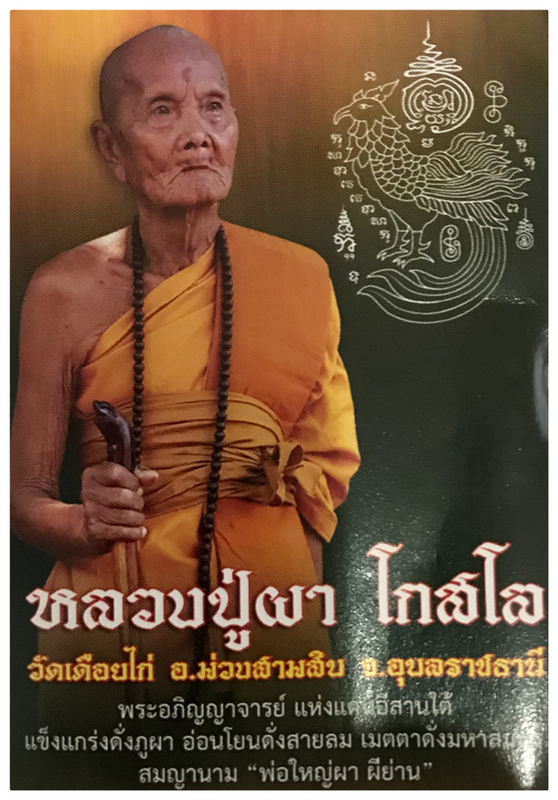 Luang Phu Pha ‘Phii Yaan’, (Luang Phu Pha Gosalo), of Wat Dueay Gai, in Nong Lao, Amphoe Muang Samsip, Udorn Thani Province, is a very aged monk (94 years old at the time of writing in 2017), who is a true-born citizen of Udorn Thani. 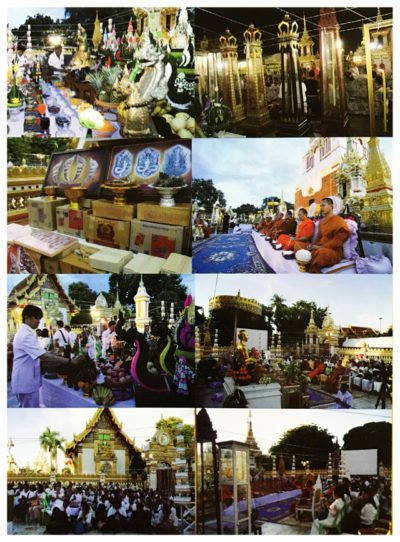 The local devotees of Udorn Thani have given Luang Phu the name of ‘Phii Yaan’, or ‘Por Yai Phu Pha Phii Yaan’. 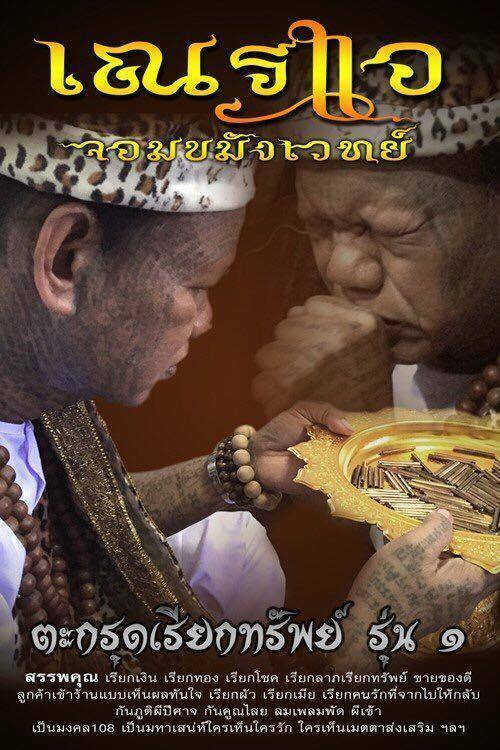 People believe Luang Phu Pha to have special abilities, due to a strange anomaly (which are known as ‘Kot’ in Animist Beliefs), which resides in the roof of his mouth since birth. 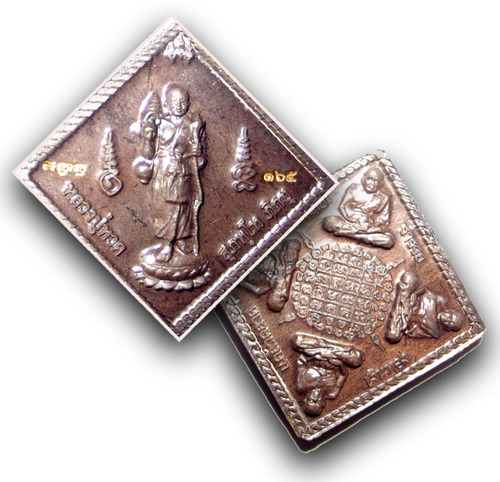 Many believe this ‘Kot’ anomaly to be a ‘Tat Gaayasit’ (Kaya Siddhi Adamantine Living Substance). 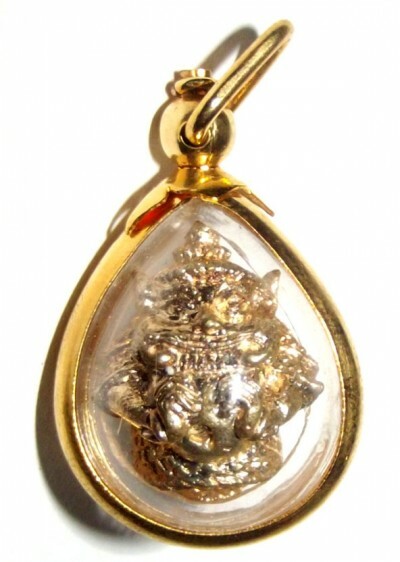 It is believed to give Luang Phu Pha the power to see ahead into the future, and to possess the power to perform miracles. 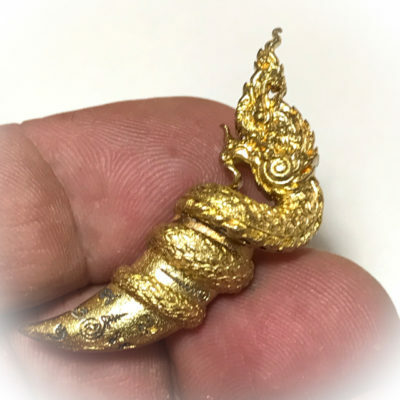 This is very similar to the legendary crystal tooth in the roof of the mouth of Luang Phu Ka Long (Wat Khao Gaew), which was said to be the toth of Hanuman (who also indeed had a crystal tooth in the roof of his mouth). 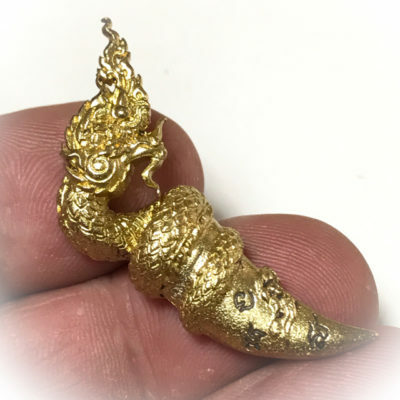 Luang Phu Pha has mastered the Adept level of the Wicha Duang Tam Banlu , which he received as the first apprentice of his Kroo Ba Ajarn, a aged Lay Sorceror called Phu Hmor Tam Hueang. 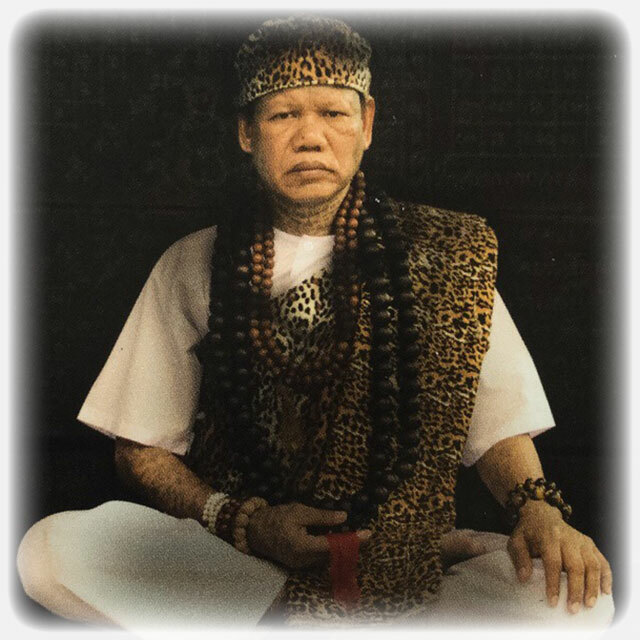 Luang Phu Pha first submitted himself for apprenticeship many decades ago in his youth, because he wanted to learn Wicha with which he could help those who were experiencing troubles with ghostly hauntings and posessions, black magick curses and the like. 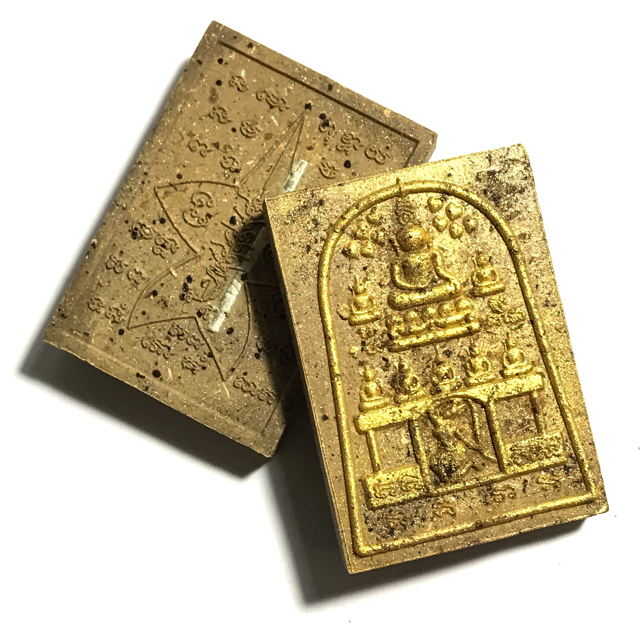 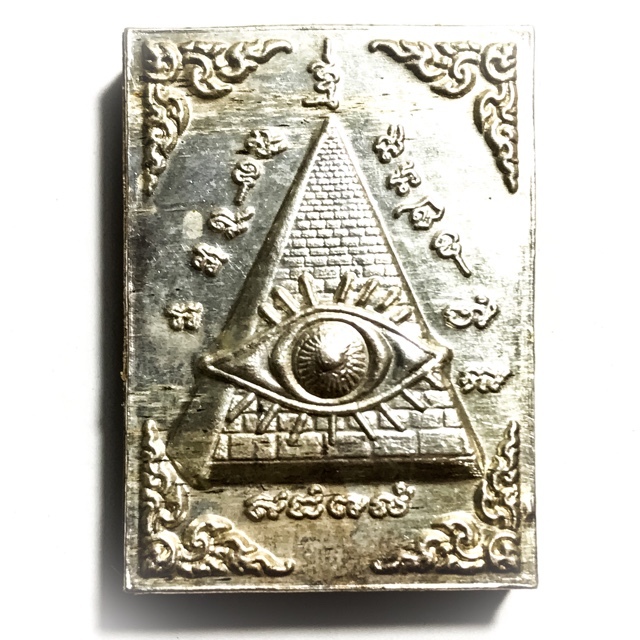 Luang Phu Pha mastered these Wicha to an adept level and began to heal possessed people, lift curses and banish evil spirits, send lost phantoms on their way to heaven, and bring happiness back to the many people who were suffering from black magic attacks. 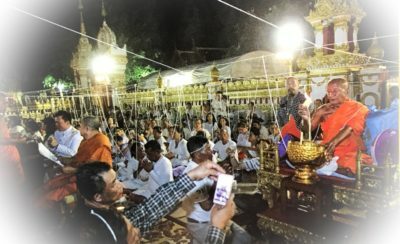 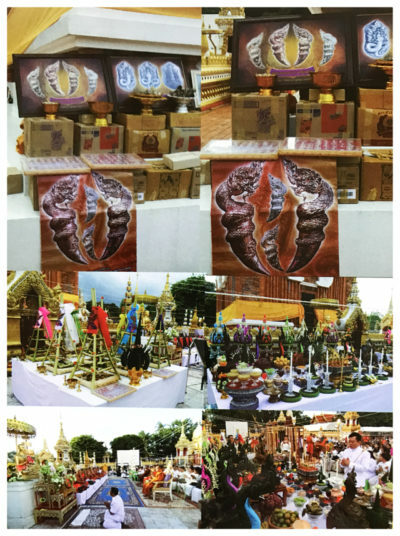 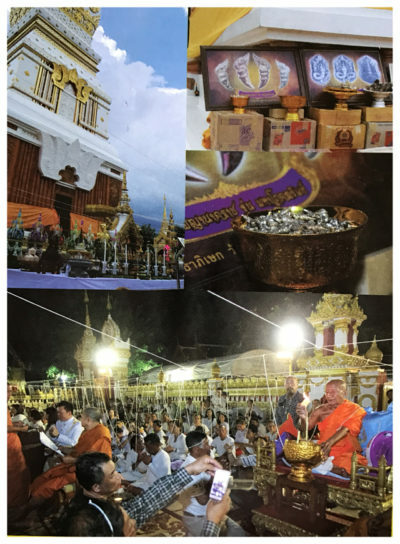 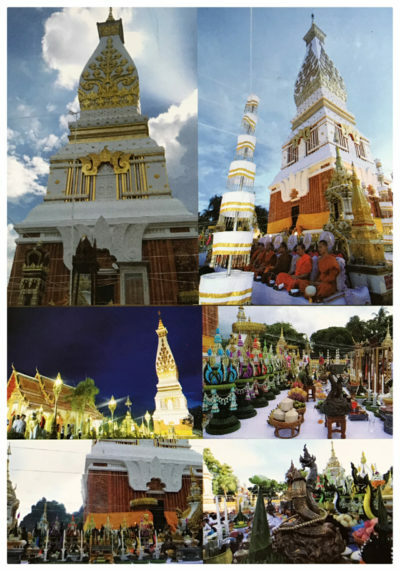 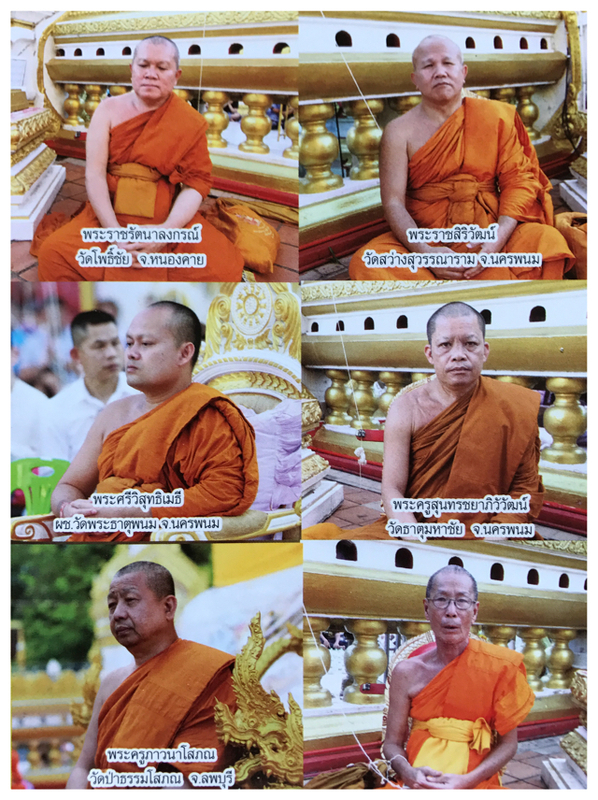 This caused Luang Phu Pha to become highly revered for his powers, and people from far and wide began to visit to beseech his blessings, which over the years have proved themself to be so highly effective for the devotees of Udorn Thani. 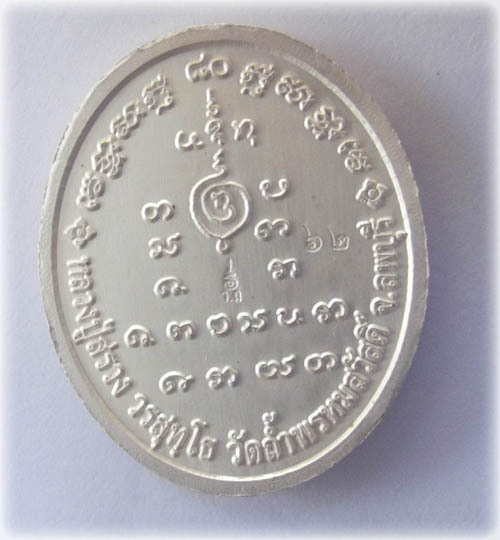 Another ability for which Luang Phu Pha is renowned, is the ability to foretell the future, and to give successful lottery numbers. 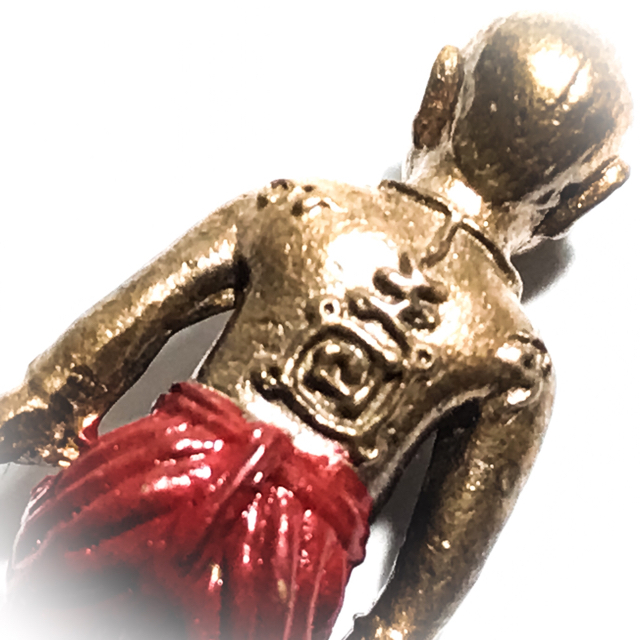 His accuracy is said to be incredibly accurate. 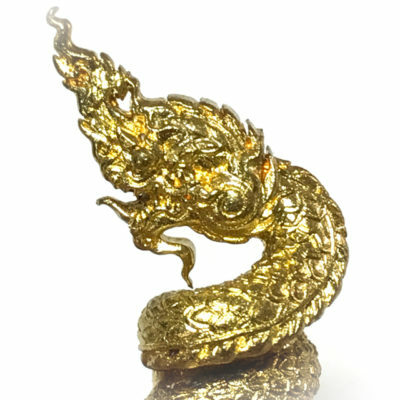 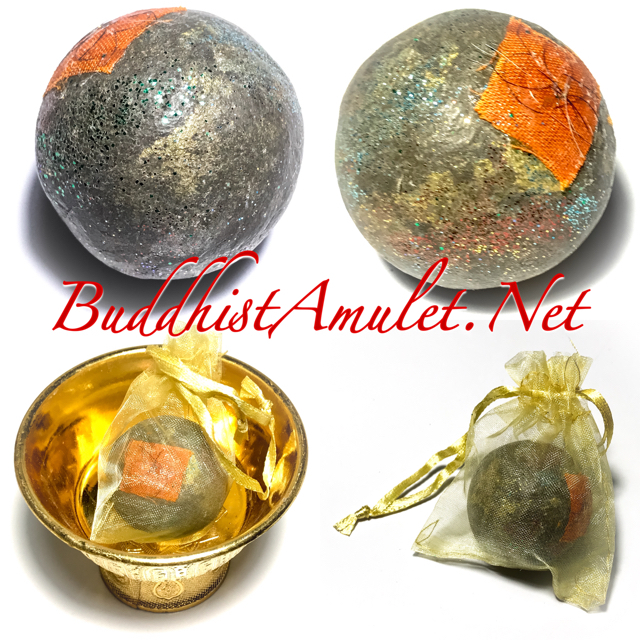 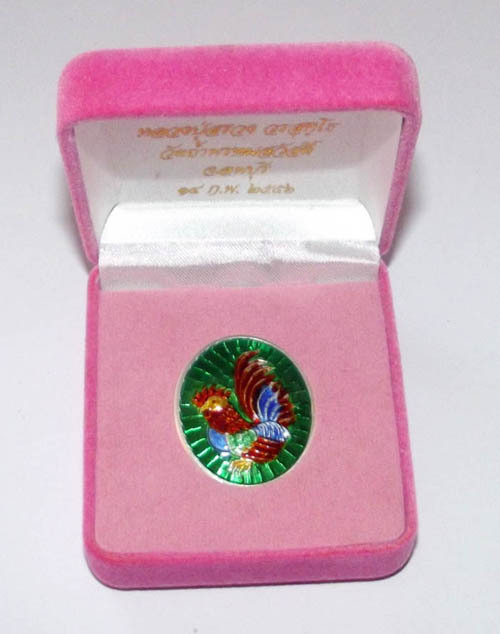 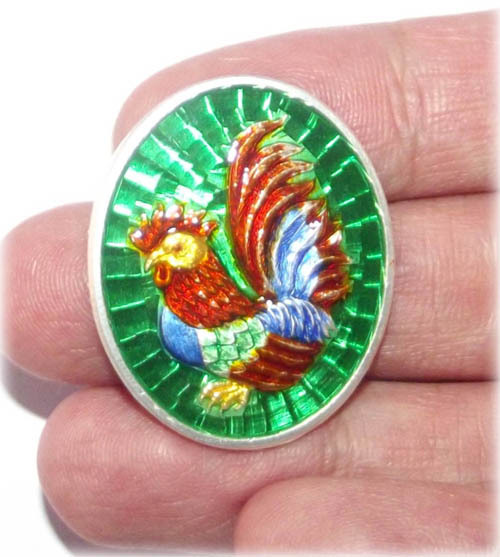 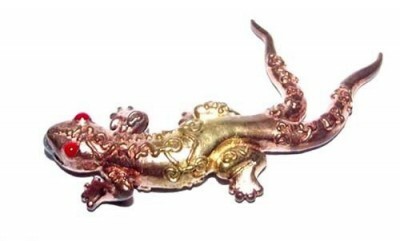 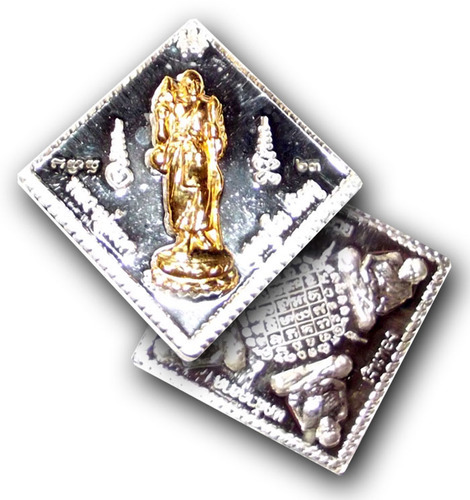 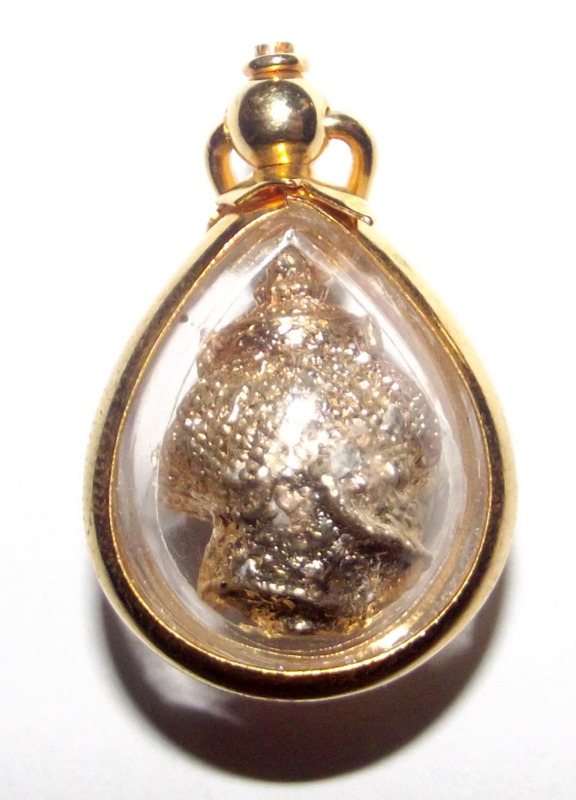 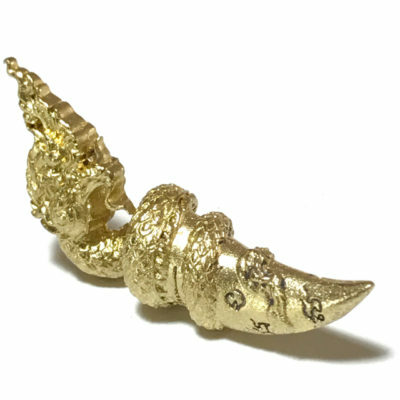 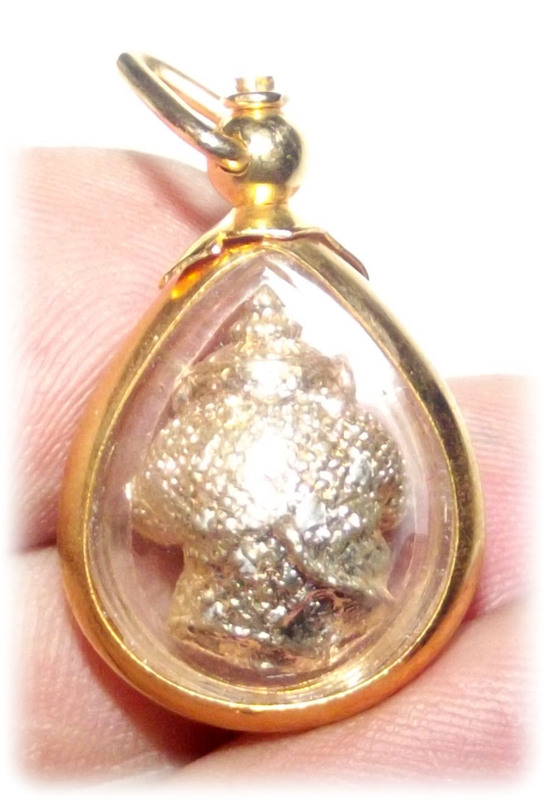 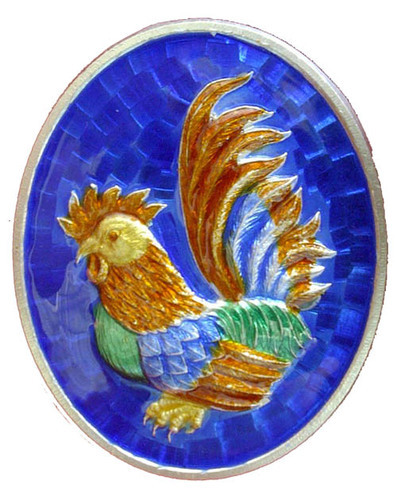 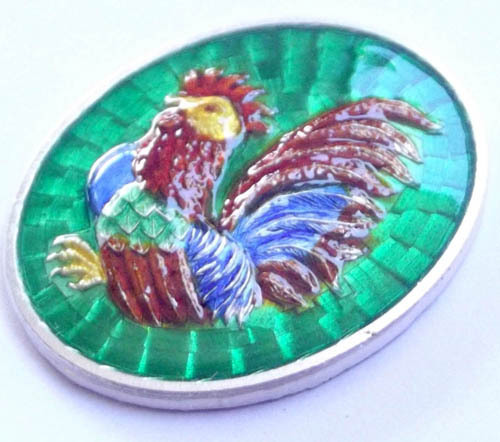 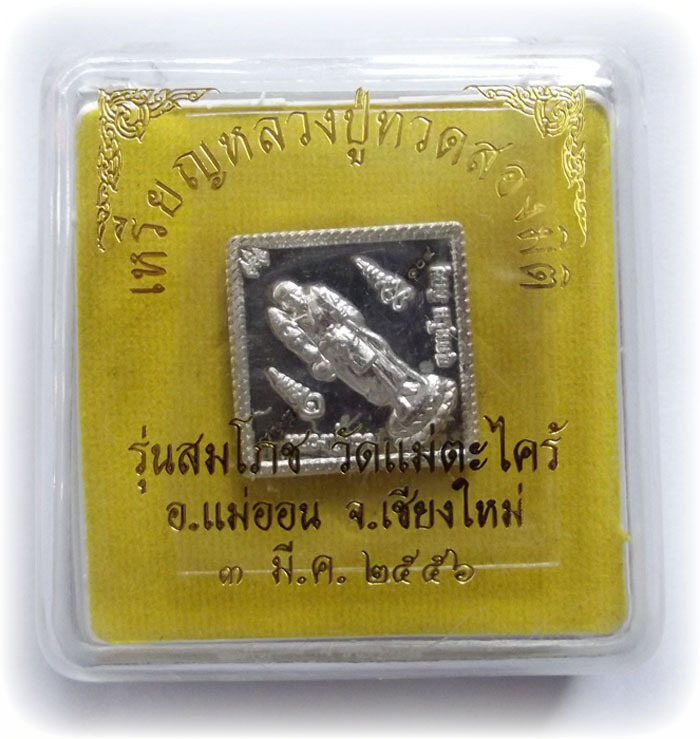 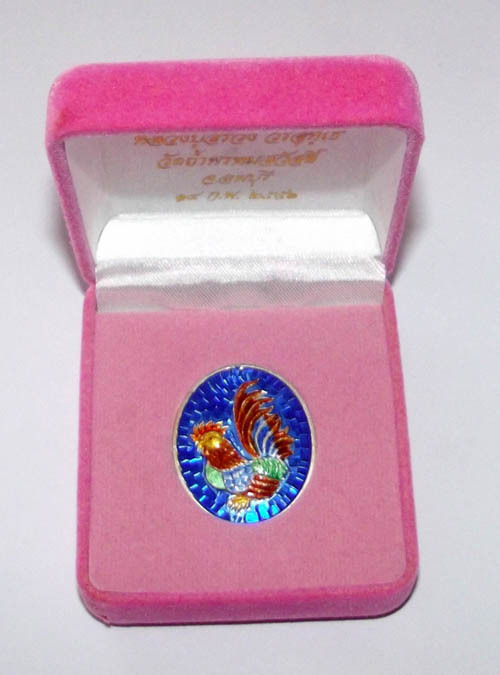 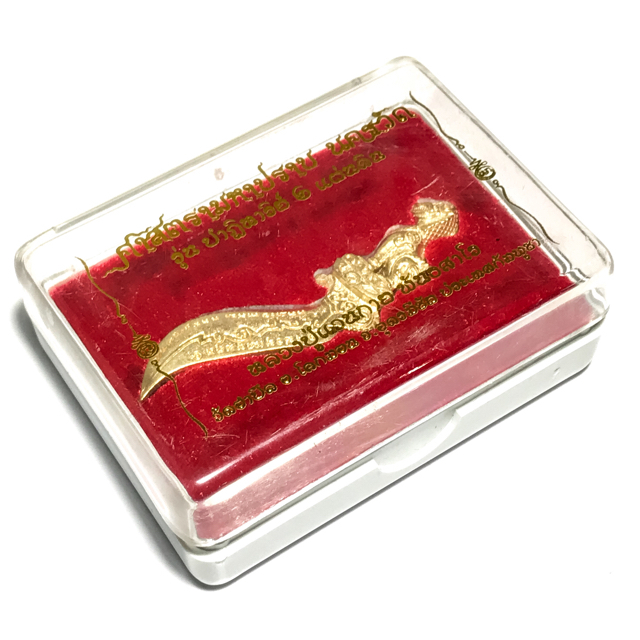 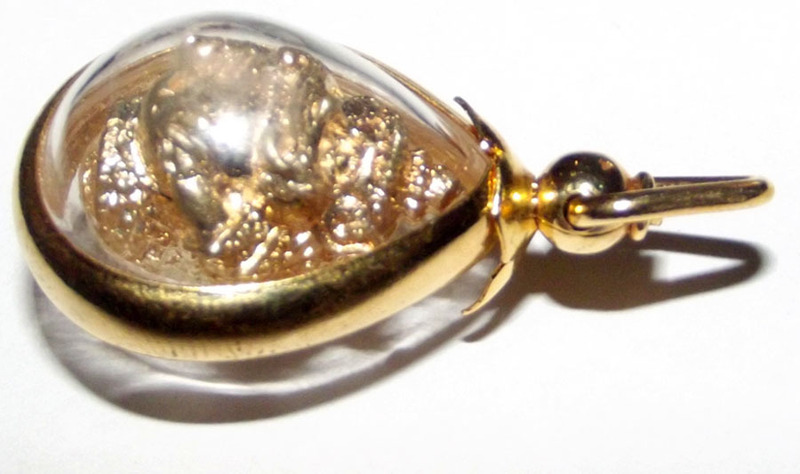 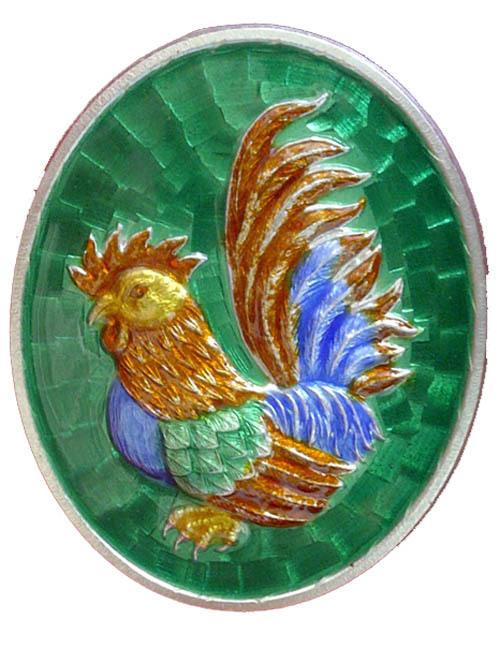 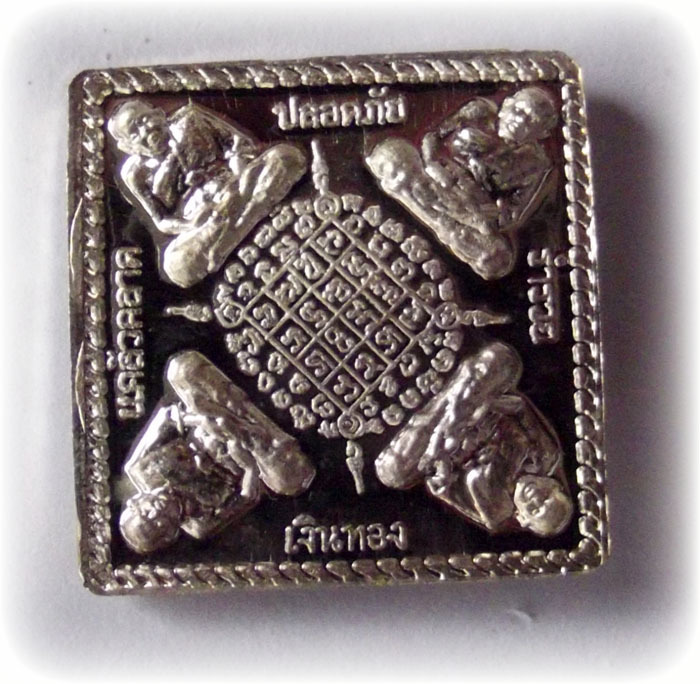 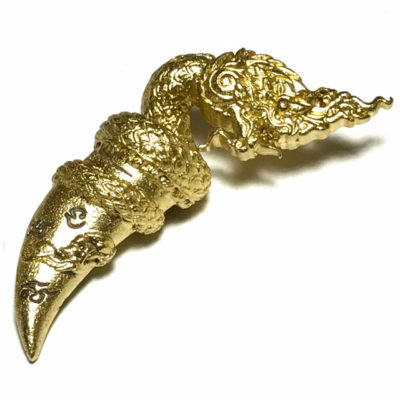 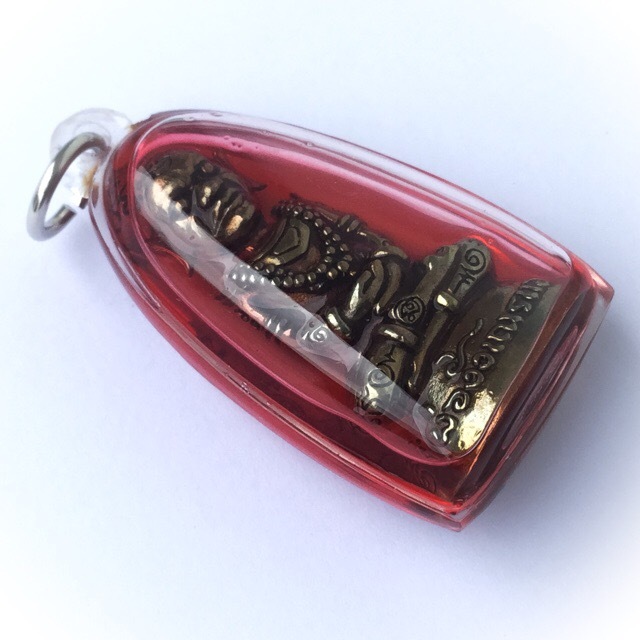 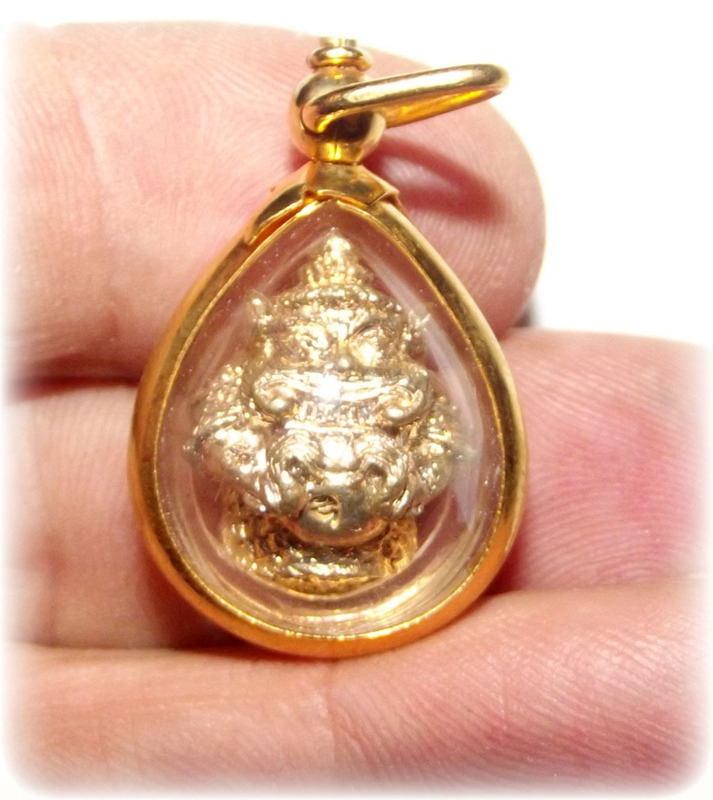 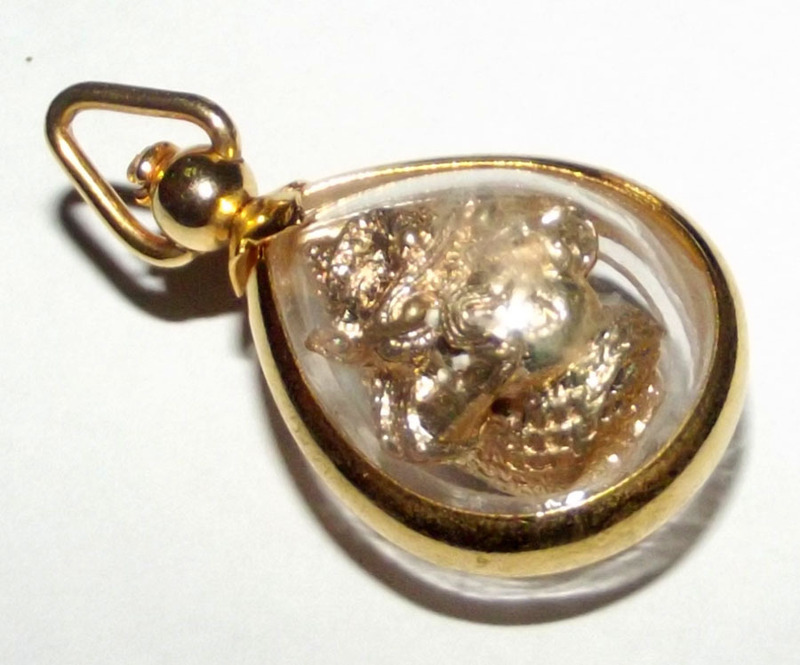 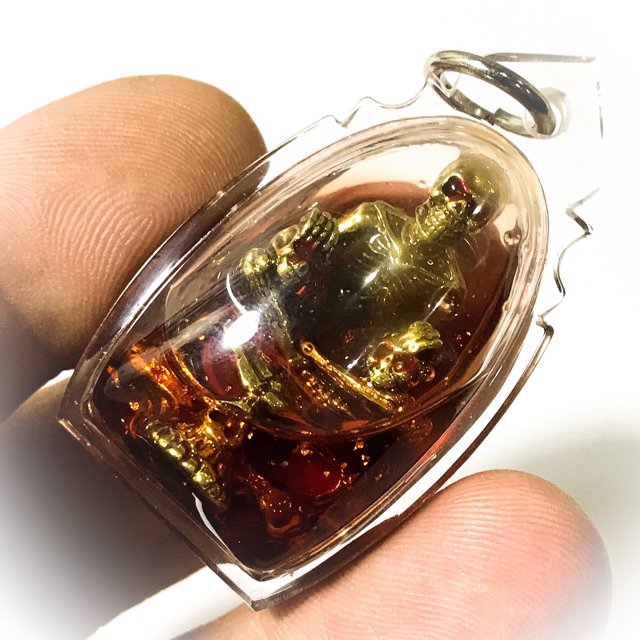 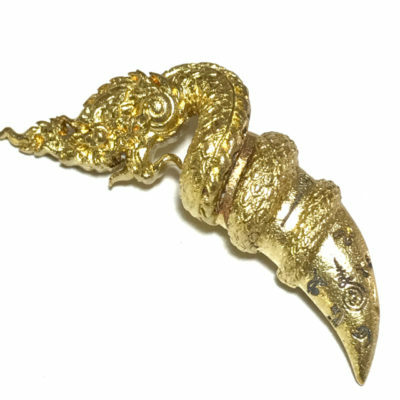 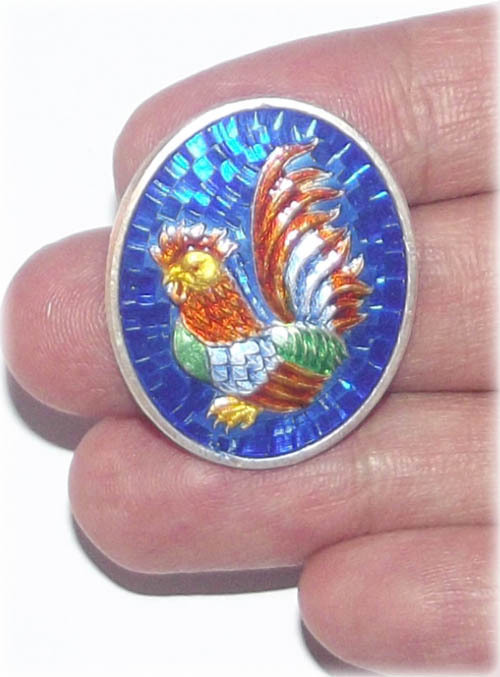 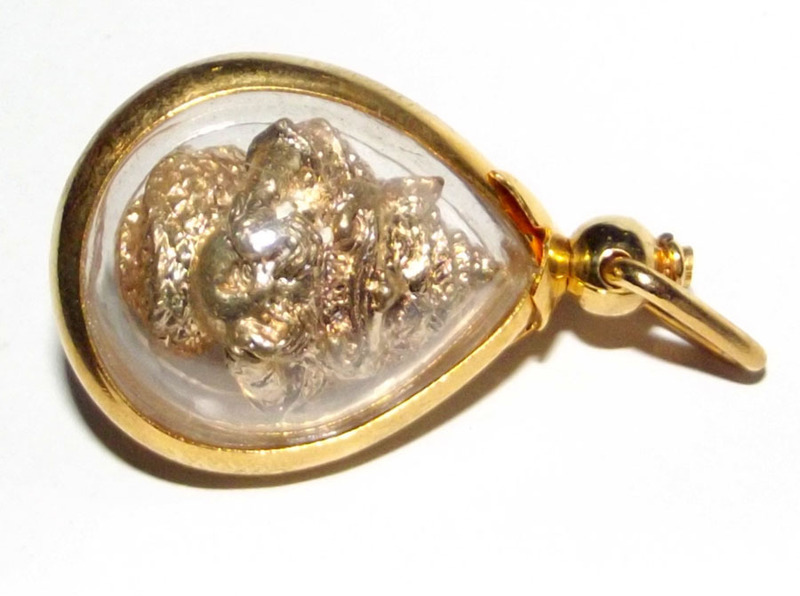 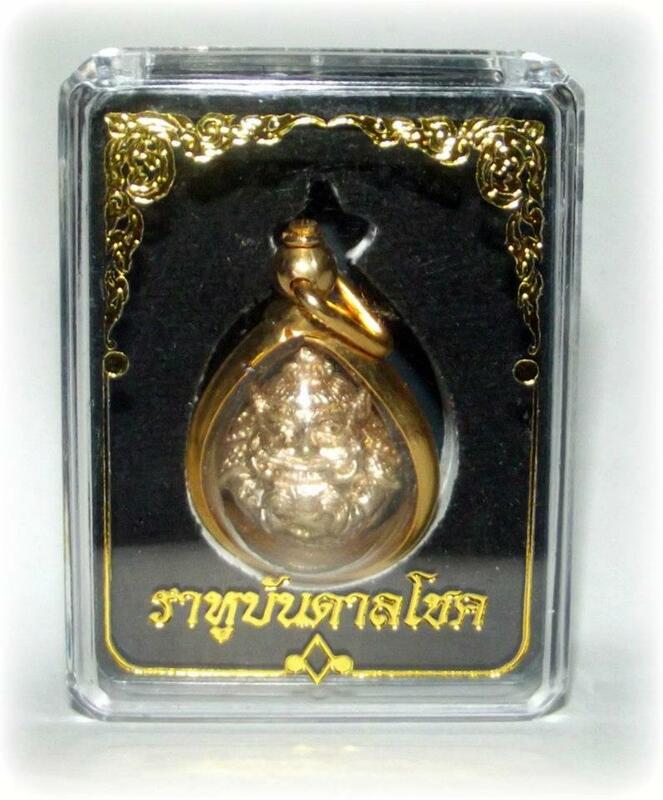 These Wicha and Psychic Abilities of Luang Phu Pha are what make his amulets so powerful and in high demand. 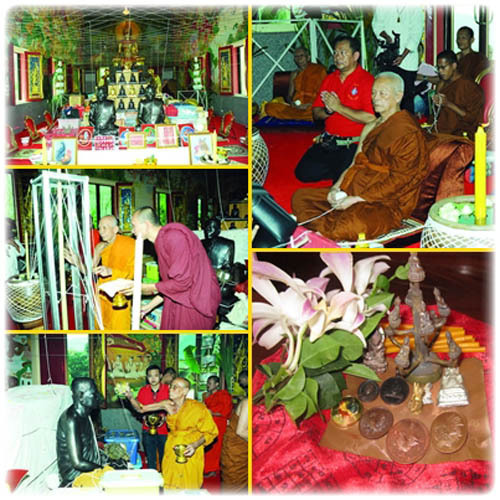 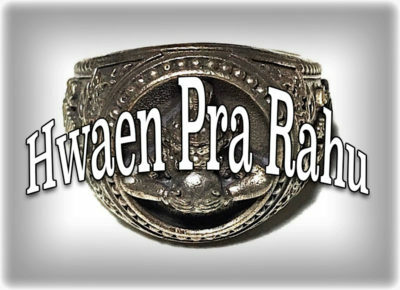 After Luang Phu Pha completed his master of the Wicha of Phu Hmor Tam Hueang, he went on to study Wicha Kong Grapan Chadtri Klaew Klaad with Luang Phu Tao Kam Hlaa, of Wat Ban Pone Paeng, who was a Master with many Wicha, but who was not usualy prone to teaching them to other people. 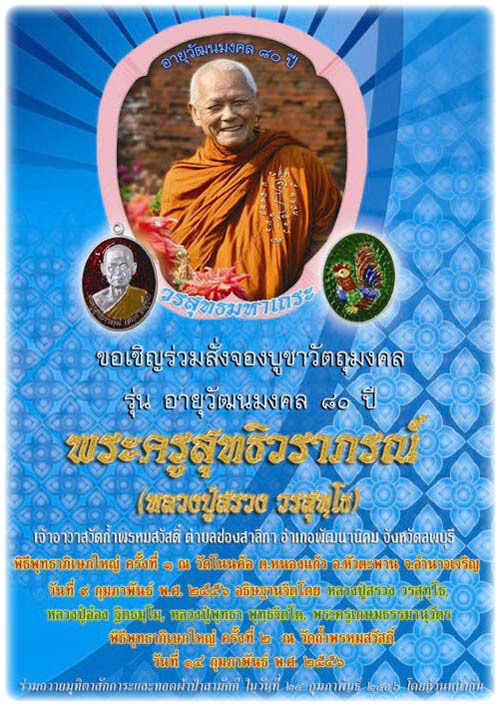 But Luang Phu Pha did not give up and persisted, to prove he was worthy and serious about learning. 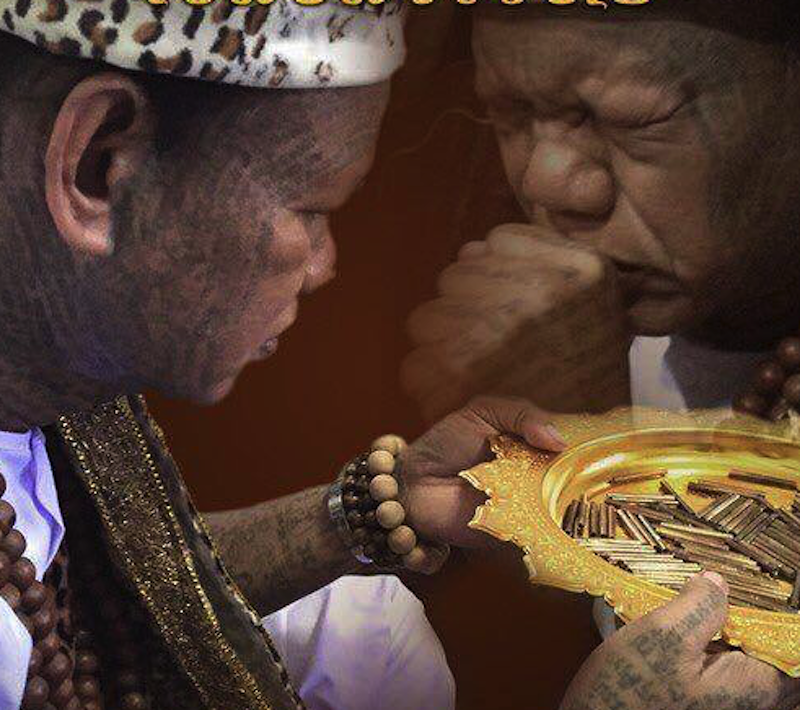 In the end, Luang Phu Tao Kam Hlaa saw the dedication of Luang Phu Pha, and his one pointed diligence and refusal to give up, and agreed to teach him the Wicha of his Lineage, especially the Wicha Kong Grapan Chadtri. 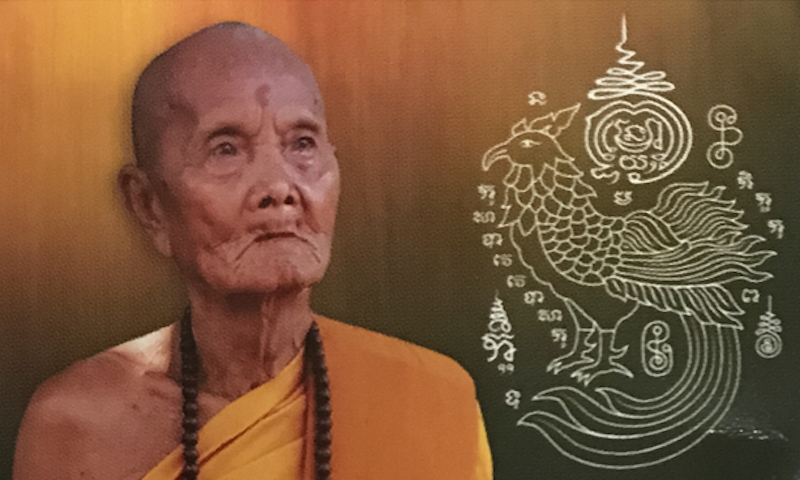 As he began to teach Luang Phu Pha, he quickly realised that this was the Looksit who he would bestow the Dtamra of his Lineage to, to continue and preserve it into future generations, and so bestowed Luang Phu Pha with all of his Knowledge of the Wicha in its entirety. 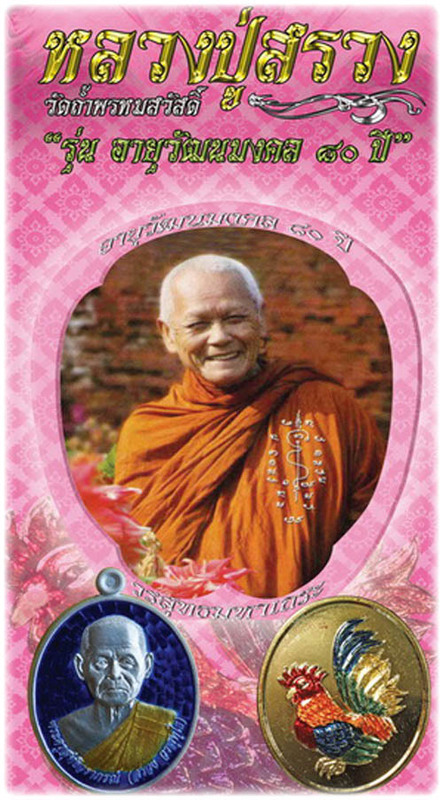 It took a great many years for Luang Phu Tao Hlaa to teach the many different spells and incantations, and inscriptions and formulas to Luang Phu Pha, but eventually, he completed the full compendium within the Dtamra, and Mastered them all. 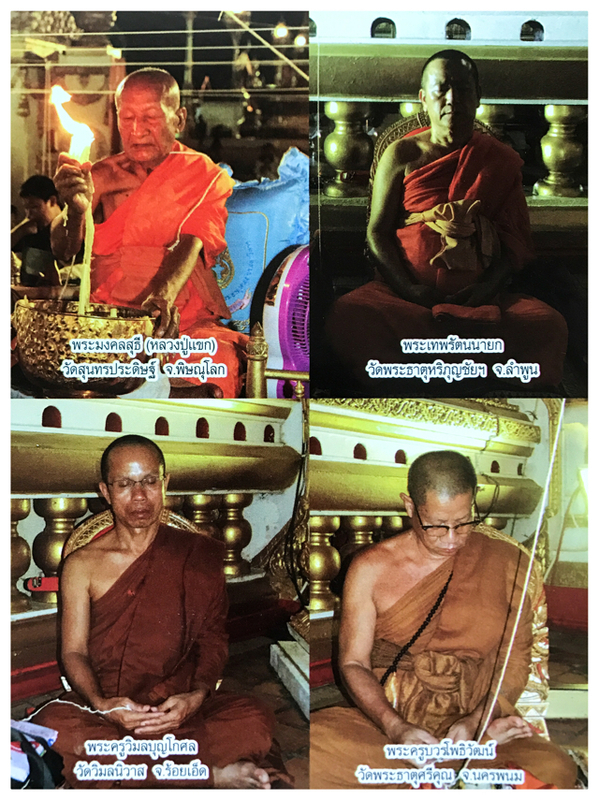 After Luang Phu Tao Hlaa had nothing left to teach Luang Phu Pha, Luang Phu Pha went onwards to seek Wicha from the Great Luang Phu Kong of Wat Ban Thon. 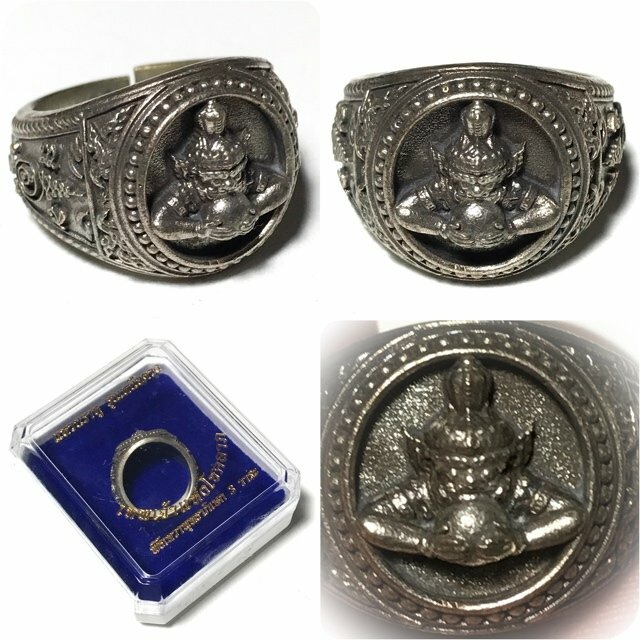 Luang Phu Kong was a direct Looksit who had practiced under the Great Arahant Monk Luang Phu Mun Puritatto, and possessed a great many powerful Wicha.. 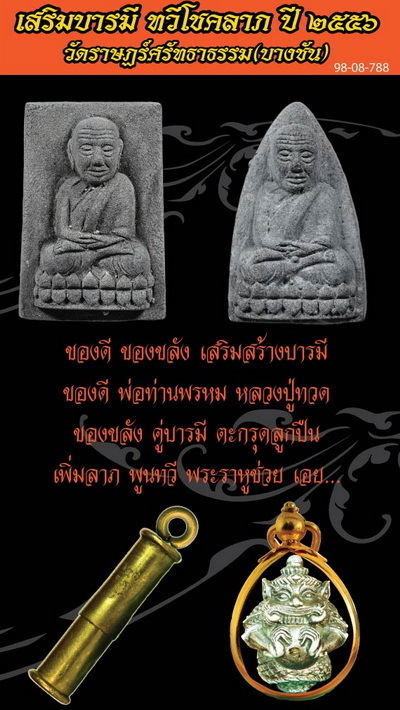 He also received some Wicha from Luang Phu Jant Horm of Wat Ban Gor Ae, a very Powerful Master of that Time.